i love this layout and the way you did this card. The designer paper leaves go with the stamp just perfect! 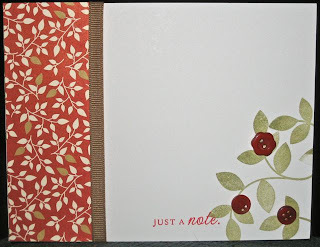 Harriet, that paper is so pretty, and the colors for the card work so well...warm and friendly! Very pretty use of the leaf stamp with the buttons.